We went into her classroom to listen to the radio coverage. A second plane hit. We knew it wasn’t an accident. We watched the rest of the events unfold in the school library: the smoke, the people dangling from buildings, the firefighters rushing in to help, the buildings pancaking down. It was all so overwhelming. Then it was time to teach a room full of children who had no knowledge of the tragedy, but had possibly just lost someone they loved. I remember feeling a ferocious desire to protect the children in my care. I struggled with keeping my personal grief in check, trying to hold myself together for the kids. Days later, when we returned to school I abandoned my carefully planned lessons for new material pertinent to the events unfolding around us. I wanted to help my students make sense of the material response to tragedy so painfully visible throughout the urban landscape, and work through their own grief in a way that had collective meaning. 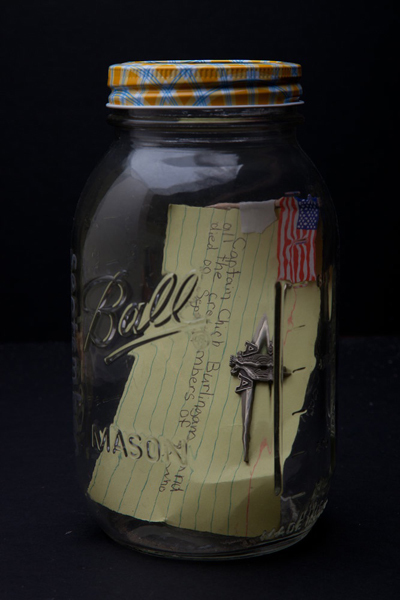 The Jar Project began in the classroom, as a way to facilitate healing for my students, but it soon grew to be much more than that. 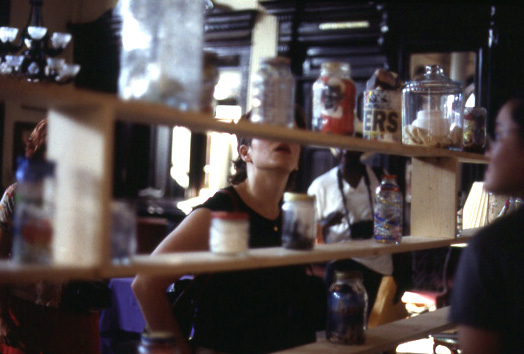 It became an international, collaborative memorial exhibited at the Williamsburg Art & Historical Center in Brooklyn on the first anniversary of 9/11. The project sought to capture the raw, emotional content of the spontaneous shrines that blanketed the city in a less ephemeral, more enduring form. 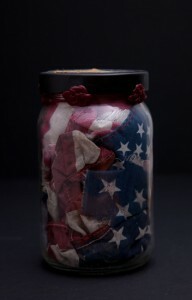 Members of the public were invited to submit jars of any size filled with items reminiscent of their 9/11 experience. 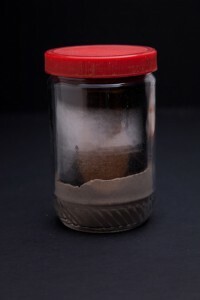 The jars contained deeply personal mementos such as: ash gathered from a lower Manhattan apartment, a World Trade Center identification badge, an American Airlines employee pin with the name of a pilot written beside it, plastic toy soldiers, a torn American flag, images of the missing clipped from local newpapers and a red plastic ring with a blinking heart. The art installation drew on both the visual language of spontaneous shrines that had emerged throughout the city as well as the nostalgic value of memory encapsulated in popular tourist items such as snow globes. 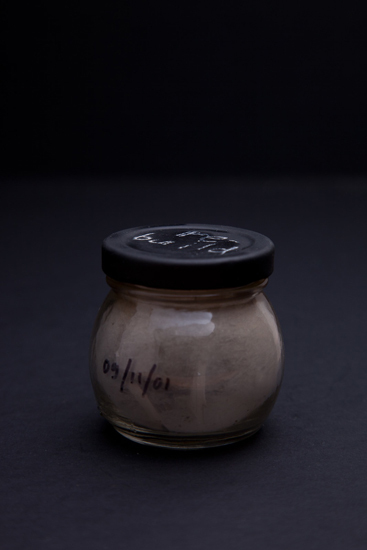 Just as snow globes package a caricatured landscape of memory into a transferable object, jars create a portable framework for the presentation of personal objects of memory. An active shrine grew in the gallery during the six-week exhibition. 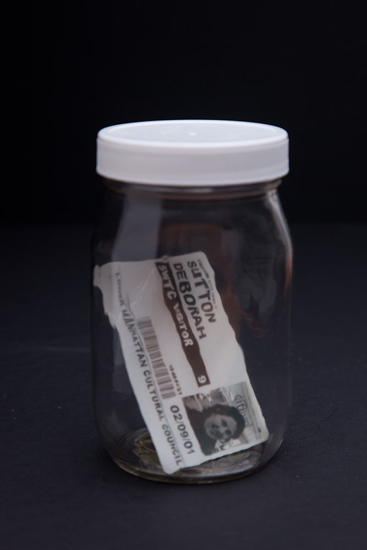 Roughly two-hundred jars were received from participants throughout the world. Jars continued to arrive in the mail long after the exhibition. Many arrived with letters, some with journal excerpts or stories from 9/11 survivors. 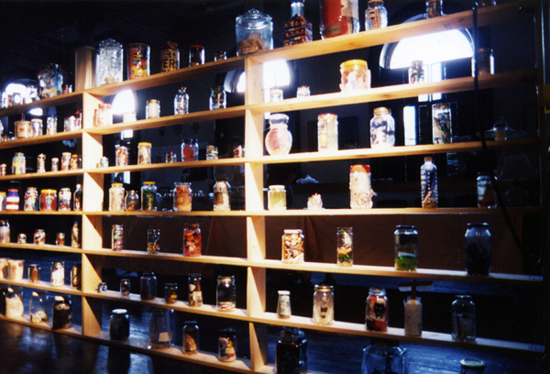 At its peak, the Jar Project included roughly four-hundred jars. Over time, these jars have become artifacts of 9/11 – firsthand accounts of the aftermath of disaster and testaments to the healing power of artistic response after tragedy. Some of the jars have been returned to their creators, but about 170 remain. 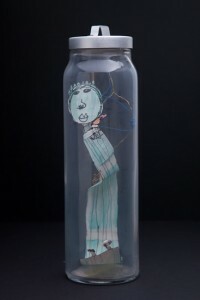 They are on their way back to New York City for a 9/11 tenth anniversary group exhibition at the NYU Steinhardt School of Culture, Education and Human Development. 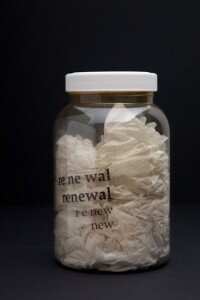 The show, titled 9/11 Arts: A Decade Later, is organized by the NYU Art Therapy program, which has done extensive work with first responders and people affected by 9/11. The exhibition runs from 9/11 – 9/18 in the First Floor Commons Gallery in the Barney Building at 34 Stuyvesant Street. If you’ll be in NYC I hope you’ll stop by. Jar with Statue of Liberty, created by an eight year old student at Begining With Children Charter School, Brooklyn, NY. § 3 Responses to The Jar Project is headed back to NY." Zipporah — what a wonderful project, and I’m so happy it will be available to the public again, and perhaps find a permanent home. What a contribution you have made to this American story. You are currently reading The Jar Project is headed back to NY. at After 9/11.